Big man gets emotional when his son-in-law soldier comes back from Kuwait and surprises him. Submitted by monkey on Mon, 05/07/2012 - 12:41am. Soldier comes back from war and surprises his wife while she is on Wheel of Fortune. Submitted by monkey on Wed, 04/18/2012 - 12:41am. 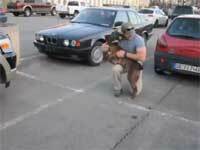 Dog gets happy and excited when its favorite soldier returns home. Submitted by monkey on Wed, 03/28/2012 - 1:17am. 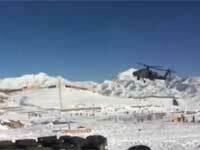 Dramatic footage of a $20 million helicopter crash after a U.S. Apache pilot tries showing off. Submitted by monkey on Fri, 03/23/2012 - 1:14am. 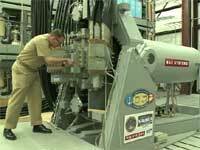 Test video for a futuristic railgun that will become reality in war. Submitted by monkey on Wed, 02/29/2012 - 3:10am. 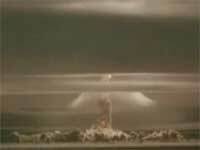 The Russians demonstrate their biggest nuclear bomb out in the ocean during the Cold War. Submitted by monkey on Wed, 08/31/2011 - 1:34am. 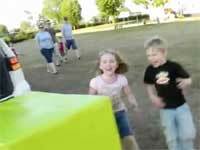 Two kids unwrap a big surprise present with their military dad inside. Submitted by monkey on Tue, 06/28/2011 - 1:54am. 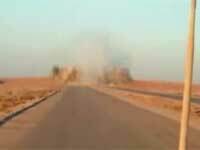 Bomb blast sends a shockwave right to the camera and some troops. Submitted by monkey on Tue, 04/12/2011 - 11:50pm. Soldier returns home from Afghanistan and surprises his sleeping brother. Submitted by monkey on Thu, 03/31/2011 - 11:55pm. 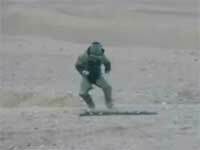 While by some explosives and EOD specialist dances to Lady Gaga's Poker Face. Submitted by monkey on Mon, 02/21/2011 - 1:54am.